Eight martech agencies in Europe and the US are today announcing Martech Global, a B2B agency network with founding members from Europe and the Americas. The joint goal is to assist global B2B enterprises with their digital marketing transformation. The Martech Global network represents eight agencies and is launching today at the Marketing Nation® Summit by Marketo in San Francisco. Martech Global aims at creating a locally relevant, but globally scalable model for global B2B enterprises to transform their marketing function. The main challenge, according to Emma Storbacka, from founding agency Avaus, is not to adopt new marketing technology, but to get people to learn and work with it to drive business results across geographies. – With more than 300 martech consultants and around 100 certified Marketo experts, we as a network are one of the biggest Marketo partners globally, Emma Storbacka says. Koen De Witte from LeadFabric says that Martech Global offers an alternative to the big consultancies. “Despite their size, their martech competence is typically limited to certain geographies. Transformation requires strong local support, and that’s where the Martech Global network will play a role”, says De Witte. “A diverse and open marketing ecosystem is key for success in the Engagement Economy – we are very excited about the support that the Martech Global network can add to our partner portfolio”, Robin Ritenour, SVP Business Development, Partner Strategy, and Alliances at Marketo says. 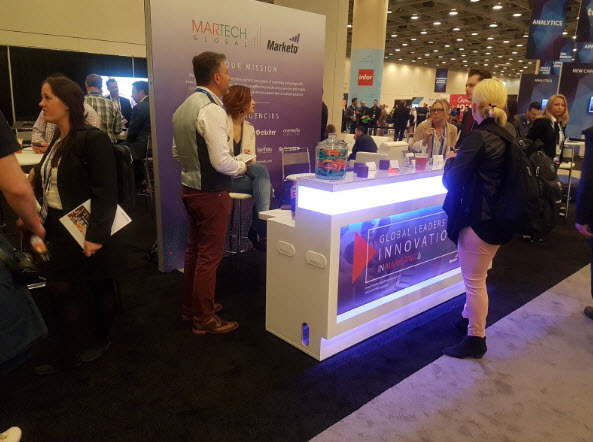 Martech Global and the partnership with Marketo is announced today at the 4-day Marketo Marketing Nation Summit on the 23rd-26th of April in San Francisco. The founding members of the Martech Global network (www.martechglobalnetwork.com) are Marketo gold-certified partners Avaus (Nordics), CRM Technologies (UK), Elixiter (US), Leadfabric (Benelux + Netherlands), Onemedia Consulting (Germany), Kapturall (Spain + Latin America), SunTseu (France) and Vonazon (US).